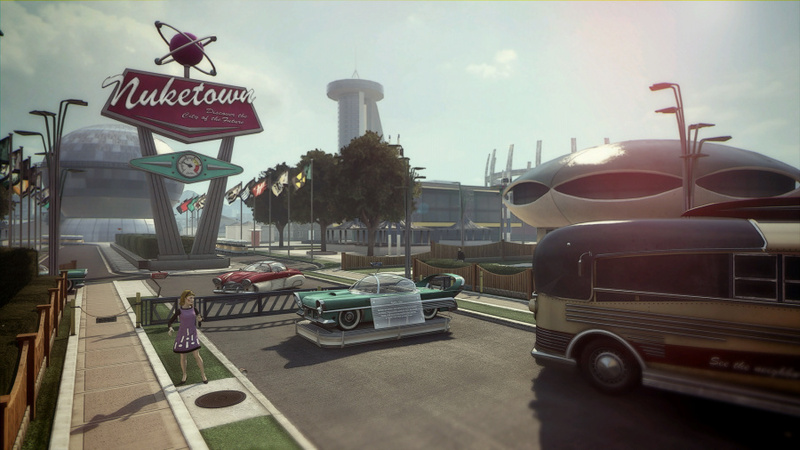 Call of Duty: Black Ops II is old news to most gamers now — it was a launch title for Nintendo's current home console back in 2012 — but Activision has only just gotten around to granting Wii U owners access to the fan-favourite Nuketown 2025 multiplayer map. The map has been available on other systems for ages, and many Wii U players had given up hope that it would ever come to the Nintendo version of the game. It's always nice to be wrong in these cases, even if it has taken forever. 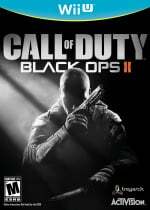 You can download the map by loading up your (presumably dusty) copy of Black Ops II now and installing the update. Let us know how you get on! Thanks to Ryan Millar for the tip! Does anyone know why COD games are not available on eShop? Can't wait for 2016 when the DLC for Ghosts gets released! There are about 1000 of us who never let BO2 get dusty! lol...wow, 2 YEARS (!!!) too late. @Tsurii897 I think all the Nintendo games are now but some of them have taken a very long time to arrive on the eshop like Kid Icarus Uprising took about 1 and a half years to appear on 3DS eshop. @Ootfan98 They might be too large to download without an external hard drive. Although, I don't really see that as a reason to not put it there. Would be nice if we also got Nuketown Zombies. For the small community that's still playing this it's better late than never I guess. Any news on COD:AW ? Call of Duty: Advanced Warfare. Coming to Wii U in 2020. Lolol, why did they even bother at this point? @MoonKnight7 Maybe there's something going on behind the scenes. Probably not, but who knows. I sold off this game about a year ago, I tried it, but didn't like it at all. I much prefer this to version to Ghosts (sold it back within two weeks) and I've just this week starting having a few online matches... so i'm a happy man! @McGruber yeah you go!... Blame nintendo for weak third party ports and missing content... You tell em son! I would love to hear an explanation about this. 2 years later? Really? Well, I might try it, still have the game, but I can't help but wonder... At this point, why still bother releasing it? Do they want to see how many people could be interested in the next COD for Wii U? Not really hoping for it, or hyped for the game whatsoever, just wondering. I would guess that it was already coded from the start, just like Freefall was on Ghosts. Why Activision took so long to release is the weird bit. Just because its an old game and an old map, doesn't make it bad. So if you have the game and like it, why not play it. There's still more playing this online than Ghosts. You could probably pick the game up for £10 now, it is a very good game if you like COD. Better than Ghosts in my opinion, but Ghosts is better than people say it is. In many ways it IS Nintendo's fault. They decided to create hardware with very little internal storage. On top of that there's no real marketing or information regarding USB storage. So you take that install base and then cut it down even more to those that purchased hard drives and you begin to see why DLC was excised from most Wii U releases. Black Ops 2 for the Wii U was the last CoD game I played. I decided to get rid of it eventually though, because you can't find anyone online. I picked it up cheap about a week ago. Used to play the 360 version of it before then. I have not problem finding Death match games etc. Only have trouble finding more specialist modes. Cool, still better multiplayer than ghosts. @brandonbwii It seems to generally be that 3rd party Wii U games are about 3 times the size of the PS3 and 360 equivalents so I guess that all the CoD DLC for a specific game would probably fill up at least half the memory space of the 32GB model. Hence the only way Nintendo would have avoided this would have been a much larger hard drive (250GB seems a reasonable amount). (Almost Surely Incorrect) Theory: With Sony being sued for false advertising over KZ (even though it's really not) Activision wants to protect itself because it had offered Nuketown as a preorder bonus to Wii U owners initially. I think Activision must have had a severe power outage setting all their digital clocks back 2 years. Or perhaps they were meant to send out DLC for Ghosts but somehow did this instead. But then again this is Activision, who knows how their mind works. Well I never finished BOII, not because i didn't like it but just got busy, then all the Zombie maps kept coming out on X360/PS3 and I kept heading to Treyarch forums (A_Trey_U lol) hoping for some maps, I mean seriously Xbox first PS3 a month later, I would have been happy for Wii U 6 months later to be honest that's how much I love the zombie maps with my family. Anyway nothing ever came out. But this news... hmm I really don't care about multiplayer as much as Zombies, I mean me and my fan spent hours on 360 playing first BO and cycling through all the maps. SO if they can bring out all the Zombie maps that was missed on Wii U I'm defenitley going on EBay or somewhere else to get my copies back. But alas not just for this thing, in the end while it seemed to make sense not to bring this out originally (even if already coded) since we would all be up in arms about the rest of the maps it just doesn't make sense now. A lot of people are playing this again and I'm not sure why. Dusty copy? No sir, my copy of Black Ops gets a fairly regular thrashing, it is still the best online shooter for WiiU by a long shot. There is still a decent amount of people playing, and the Nuketown map is actually pretty fun. It's a small map and very hectic! @Grumblevolcano - 'At launch, the PlayStation 3 was available with either a 20, 40, 60, or 80 GB hard disk drive in the US and Japan, priced from US$499 to US$599'. The XBOX 360 launched with a 20GB HDD and didn't receive an upgrade for 2 years. And you couldn't use external HDDs. Sony now offers a 12GB model, and M$ a 4GB model. Currently, the 360 only supports external HDDs up to 32GB. That's it. When you look at the size of the Blu ray format games for the systems, it really isn't that much. PS4 Games are of comparable sizes. Add to that the very 'beta' nature of game for these systems (usually many updates required to get them to a finished point), and I think the Wii U is doing just fine. Not bad at all i still go on black ops 2 every now and then for a couple quick matches so this is definitely a welcomed suprise. Better almost 2 years late then never. Oh… and I'm going to download this as soon as I get home. Time for some fun! Yay players get the worse map possible! @Iggly To kill my minions hm? Also do you get the playercard? wouldn't be surprised if not since it was a thing for special editions. @Nintenjoe64 I'm one of them. This games better then ghost anyways. This makes me want to pick up another copy of it. Does this include the Zombie Nuketown? @eaglebob345 @Ootfan98 Actually, if you looked in the eShop hard enough, you'll notice that not a single Activision-published retail title is available on the eShop, not even their licensed games! In fact, Activision, and probably 505 Games as well, are the only two publishers who has not bothered releasing any retail game on the Nintendo eShop on either Wii U or even the Nintendo 3DS! @Grumblevolcano except the wii u uses flash memory and doesn't even have a hdd. If nintendo had included more flash memory the wii u would cost way too much. Wow... I don't know what to say to this... I guess it's nice that they're still supporting BO2 but now?! Woah. This is pretty funny. I don't know about you guys, but this kinda looks like Activision is testing how their DLC would work on the Wii U. There is absolutely no reason at all for them to release this map on Blops2 after 2 years for free. Not to mention we also got the Free Fall map for free as well in Ghosts. As we all know, Activision does not give stuff for free. It just seems like they are trying to figure out Nintendo's online infrastructure and these are just experiments. COD Advanced Warfare coming and DLC confirmed? Ha Ha Ha Ha! Two years too bloody late. I sold my Black Ops 2 and now have Ghosts (although that's collecting dust on the shelf due to boredom with waiting for any of the DLC that other consoles have). Surely releasing some more for their current COD on WiiU would have been sensible? I check around the community in miiverse, players say this is an mandatory update that comes with it and it came out today. My thought's on it is that's sad that they release a map that everyone had for a year or so,but better late than ever i guess.What's next warfare gets delayed till next year for wiiu owners, if they get the game though. I feel like I owe it to myself to pick up the game now. Perhaps COD: BLOPS 2 has had an upturn in on-line players since the increase in Wii U owners due to MK8? I guess all those new Wii U owners might be picking up (now cheap) older games and giving those games an increase in users that the game companies have noticed? Has anyone who plays BLOPS 2 multi-player noticed an increase in players? @Tsusasi I was referring to comparing a game among multiple systems. Take Assassin's Creed III for example, 7.63GB on 360 compared with 20.7GB on Wii U. If you do that for more 3rd party games, the file size is always between 2 and 3 times larger on Wii U compared to 360. Well, I still have my launch copy, so I'll give it a go. People are just more interested in BO II than Ghosts. I like the sliding more than the dive, but otherwise they're just about as good as one another, and Ghosts has more custom options. Most of the BO II stages are better, though, IMO. TBH, the paid DLC that is missing doesn't bother me that much. It used to, but I realized that I don't like paying for some stuff, especially when Activision milks DLC ALL THE FREAKING TIME and the player count was never very high, although it's always a possibility it could of been higher, but they would have had to have ALL the DLC. Never the less, I'm fine with just having this DLC. I was extremely surprised at this and MAYBE it is a sign that DLC will be coming to BLOPS II and Ghosts but I doubt it. Can't believe it took them this long to get on with this though. Talk about a lazy developer. What's next? Capcom: "We decided to make a chip to upgrade the Super Street Fighter 2 Turbo Championship Edition arcade board to a new version featuring fan favorite Adon." It's been 2 years.Just freakin' laziness IMO. Perhaps it's to make that Add-on Content tag on the back of the box not be false advertising? This was a true shocker, but definitely a welcome surprise. After playing the same maps over and over and over again, getting even just one small map like this is a breath of fresh air. Either way, it all has the community rather excited right now. One guy on the Wiiverse forum claims he spoke to an Activision rep over the phone and was told we are in fact getting those maps. But I take that stuff with a grain of salt. The CoD community is infested with young boys 12 and under who frankly make up a lot of complete BS. Still it will be interesting to see what happens. I'm a huge Zombies fan and the thought of a minor miracle happening and getting Die Rise and Turned, or the full Revolution pack(!) has me extremely excited. 2 years late? Who gives a crap! Like the headline says: better late than never! I'm keeping my fingers crossed. @Mega719 there are. The online for those games aren't nearly as populated as the more recent titles, and are hacked to death, but they still get a lot of play. @vio Are there any leaderboard scores for Die Rise and Turned? If not then the theories mentioned are possible reasons however if there are scores then that means the people trying to hack the Wii U have succeeded. @Hy8ogen That would be my guess. Advanced Warfare is almost certainly coming to Wii U, and/or they're gauging interest with this DLC. Thats just clowning hard... A year and a day later does anyone even care ? If you went this long it just seems abit too late to matter, thoughts ? I'll give it another go, glad I never bought Ghosts if it has a smaller online community than Blops 2. Despite the shockingly bad single player campaign, I have had some good fun with the multiplayer. I just got my Wii U not too long ago and Black Ops II alongside with it and the single player was actually really good, lot better than in the first Black Ops. Also I have been playing the multiplayer and have been really enjoying it, also lot better than in the first Black Ops. The game works really well on Wii U and looks good. For me this news is just kind of surprising positive news since I never knew it was missing in the first place. Great map, I've just tried it, I was disappointed when I first brought it and this map wasn't there, so I happy. So, as you can clearly see here, what we have with just Nuketown is nothing but crumbs in comparison. As others have said, just like Xbox and PS3 owners, we also paid $60 for this game. We deserve access to all the same content. While I'm certainly happy to have Nuketown now, getting thrown a scrap after 2 years does not cut it for me. wow I was waiting for this forever. Thank you for the break down in pricing and game file sizes. I think people don't realize that a the 32GB holds a decent amount of games out of the box and b who doesn't have a 500GB external kicking around their house somewhere? I honestly cheered when Reggie announced bring your own storage because its cheaper and i just needed to re purpose a drive sitting on a shelf. Want even more LEGO characters in your game?